Best Smartwatches 2018 - Apple Watch vs Android Smartwatch? It’s been a long time since smartwatches have appeared on the scene. Like other smart devices, it has also tried to provide enormous functions and options in one small box. But, unlike smartphones, smartwatches come with their limitations because they are small. This makes things a bit difficult for these watches. Many people consider them pointless. It is because they think their smartphone is doing all the work well. Yes, this may be true, but, there are also many who use smartwatches to help with their workout activities. In this post, we are going to discuss the best Smartwatches of 2018. This Apple smartwatch has a spectacular anodized aluminum case and Ion-X glass facing. And a stylish white sports band. Now let’s dive into the details! It allows complete connectivity to your iPhone. You don’t need to keep whipping your phone out when you hear a familiar ping. And you don’t have to worry about missing any important notifications. Your smartwatch will alert you as to the exact nature of the notification via its Taptic engine. You will feel a corresponding tap to describe whether you’re getting a call or a message. And this smartwatch has Force Touch which means that you will be able to unlock different features on your iPhone by applying different levels of pressure. It is water resistant but not waterproof. Do not try to put it in water! Remember, this is a device meant to run your iPhone in a smaller body. Not to mention access to Siri through voice control. You can tap the screen of your smartwatch or say, “Hey Siri!” to activate your personal assistant. And Siri will carry out your instructions on your iPhone through your smartwatch. This watch is basically built to accommodate the hardworking sportsman. To accompany you on your workouts and to keep a track of your fitness. On it, you will find a heart rate sensor, accelerometer, and gyroscope. Strong and durable casing for long life. The face can be changed according to convenience and preference. A heart rate sensor, accelerometer, gyroscope all packed in one. Easy access to your messages and notifications. Total connectivity to all your apps without having to whip out your phone. Not useful to someone that does not have an iPhone. Not waterproof. Which is a definite turn off for swimmers as they will always have to be careful where they put it. Fitbit is a big name in the smartwatch industry. It is for the health-driven people. Most manufacturers focus on creating a watch that can replace a smartphone. 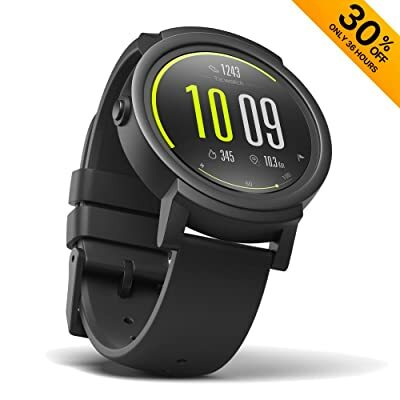 So, this is a big plus for this watch for those who are involved in workout activities. It comes with PUREPULSE heart rate tracking feature. This tracks your heart continuously without making you feel uncomfortable. Moreover, you can track your activities based on multiple sports, and its auto recognition feature allows you to maintain a record of different sports activities. Its all-day activity tracker will tell you about that calorie burned, steps taken, floors climbed and other activities. It can also guide you through breathing sessions. At the end of the day, you will have the data from your breathing sessions to your vigorous running activities. All of this will assist you in improving your fitness level. There are few more worth-mentioning attributes of the Fitbit Charge 2. It comes with an OLED display that gives a well-defined display. The battery life is also amazing. You only need to charge it for less than an hour after multiple days. Moreover, its connected GPS allows you to get real-time information about weather, distance, and others. This wrist watch also comes with Bluetooth feature, so, you can connect it to your smartphone. 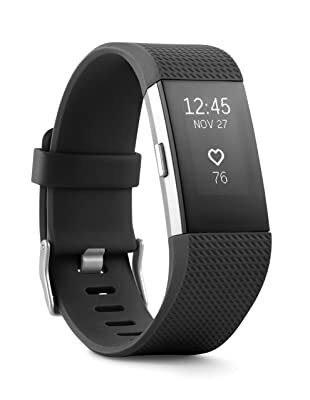 The high compatibility of this Fitbit watch allows you to synchronize your data with more than 200 different devices such as Android, iOS, or Windows operating system. This device is able to give accurate results of a temperature range from 14 to 113 degree Fahrenheit with the altitude as high as 30,000 feet. In short, this device is going to be your best companion during all your workout activities. Its alarm, calendar, calls, and text notification features further provide you convenience during your hectic routine. Besides getting a full support in achieving better health, Charge 2 looks nice on your wrist too. Its sleek band makes you look fashionable. You can also have the option of changing the band if you want to. Overall, Fitbit Charge 2 is a nice purchase, especially for fitness people. However, there are a few shortcomings as well. The most significant one is working on its sensor. During workouts, the heart rate monitor cannot get a record of all pulses. This is maybe because of the sweat on your wrist. Other than this, few people, mostly ladies, find its band a bit too thick. However, this issue can be resolved by choosing a customized band that Charge 2 offers. Samsung is also a trustworthy name when it comes to these devices. Like all other fields, Samsung is also doing well with their smartwatches. 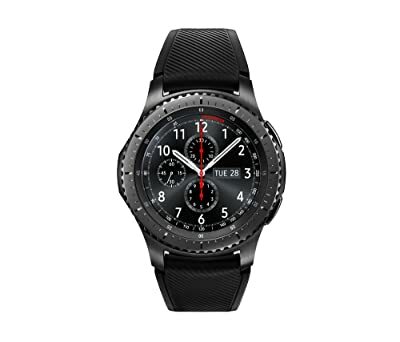 This Samsung Gear S3 Frontier Smartwatch is one the best smartwatches you will come across. Starting with its appearance, Samsung has merged beauty with versatility and quality in this product. The construction material used in this watch is silicone. It also comes equipped with a distinctive steel bezel. You can rotate it and the different apps and notifications will appear on the screen. It is one of the great convenient features that you can get with this watch. Regarding durability, this device has passed military specification (MIL-STD-810G) testing. This means that this tool is sturdy against different outside elements like extreme temperature, water, dust, dropping (4.9 feet), shock, low pressure, and high altitude. This smartwatch is compatible with Bluetooth. This means you can access all your important messages, calls, and other data without taking your smartphone with you every time. It also offers some storage and media access. You can enjoy music with wireless earphones during an extreme workout. One important feature that Samsung Gear S3 has for you is its ability to help with payments. You can do payments with Samsung Pay no matter where you are. This helps you stay carefree and free of cash during workout sessions. 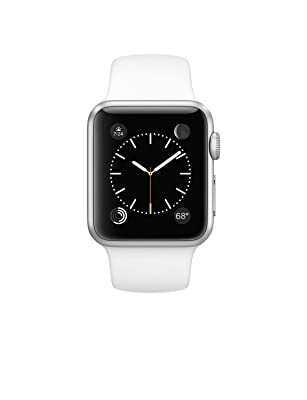 This watch is compatible with different Apple and Android devices. With all these amazing features, still many people may feel that there is a problem with its big size. Secondly, there are not many apps for this watch. Despite these few problems, overall it is a good purchase. With its payment method, you can go out easily without carrying much stuff with you. It is very stylish and looks amazing. This Fitbit Smart band gives you the power to control your own style. It comes with a washable band feature that allows you to remove the LED part and clean the band with rubbing alcohol to make it look new. It has a Milanese design that adds to your look and gives you a more comfortable appearance. It monitors your cumulative activity for the entire day. It even guides you to take a few breathing sessions throughout the day while monitoring your stress levels. It also features auto exercise recognition, this means that you don’t have to set it to track every time you start your exercise routine. It will automatically track calories burned, steps, distance covered, floors climbed, active minutes, and hourly activity. It also has a sleep tracker that automatically monitors the quality of sleep you get and wakes you up with a silent vibrating alarm. 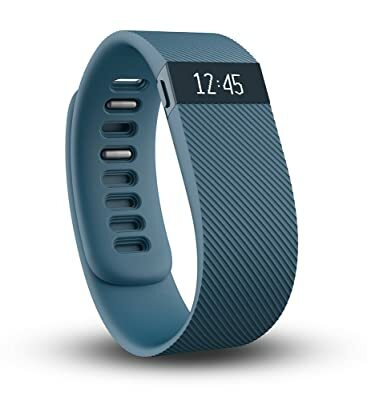 The Fitbit Charge features an OLED display that has the capacity to show your daily statistics, exercise and time of day. It can even sync all information to your mobile device in real time, whether with iOS or Android. This Brightpoint Pebble device works to optimize your Smartwatch experience. It supports all existing apps and watch faces that are available on the Pebble app store. This works with both iOS (above iOS 8) and Android phones (ice-cream sandwich). What makes this smartwatch great is that it doesn’t limit the user to English because it is compatible with a variety of languages with international character support. The smartwatch works to put all your notifications at the top of your wrist, literally. It gives you all notifications including calendar events, text messages, emails, and calls etc. It also has a built-in activity tracker that automatically measures your activity throughout the day. It even has a built-in microphone that allows you to record and send voice notes. It has a design that is curved so that it fits snugly and curves to your wrist for maximum comfort. It even has tactile buttons that allow you to use it without having to look at the screen itself. The watch also has a sleep monitoring system that tracks your sleep patterns and wakes you up every morning with a silent vibrating alarm. It features magnetic charging that works with any USB port. It is also water resistant for up to 30 meters. 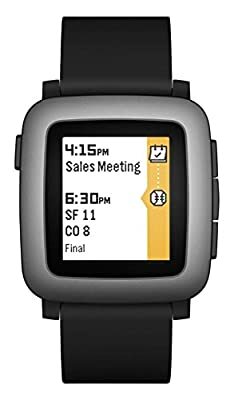 Pebble has recently closed their business and is thus not responding to any complaints or refund requests. The Fitbit always tries to grab its customer’s attention by manufacturing attractive smartwatches. The Fitbit blaze special edition is one of its kinds with loads of swipe-able features. First off the Fitbit contains three buttons on three different locations that perform actions according to the application you select. In order to check your calories, the distance you traveled or a number of steps you have taken there is 3-axis accelerometer. 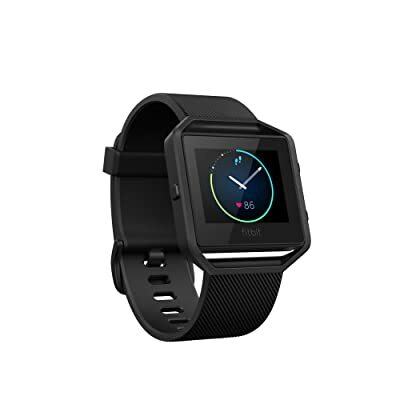 On the other hand, you can also find pure-pulse heart rate system in this Fitbit blaze special edition watch. In this way, you are able to determine the volume of the blood and the size of the capillary when the heart beats. It also allows you to connect your smartphone GPS with the device to find out your desired routes. Moreover, you can detect the stats and duration of your workout on the screen. It has a detachable 240×180 pixels display along with the frame of metal and rubber strap. It comes with multi-sport option through which you can select sports modes easily while checking the information on the screen. Unlike other smartwatches, it proffers your exercise summary. In this way, you know how much extra effort you require to hit your goal. The fitness tracker has a silent alarm function. May not be an appropriate choice for swimmers since it is not water resistant. Like other wristwatches, it may not allow you to receive calls however you can check the notification. Huawei is one of the latest companies that makes a hybrid version of the smartwatches. You can witness this new hybrid by the newest addition to its portfolio namely Huawei 2 sports smartwatch. This smartwatch proffers its users top of the line features includes built-in GPS which helps in locating the desired destination. The sports smartwatch by Huawei contains AMOLED screen display of 1.2 inches with the automatic adjustment of brightness. The scientific sleep tracking in this smartwatch is amazing and will let you sleep peacefully. Furthermore, the Trusleep will track your deep sleeping and light sleeping stages as well. With the smartphone release wristwatch, you can download or play music to keep yourself entertained while you work out. 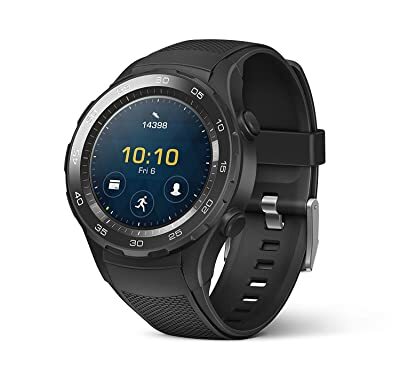 The Huawei 2 smartwatch also comes with Google assistant that you can use by saying, “Ok Google.” Plus it has made online payments easier with the NFC option added in this Huawei 2 sports wristwatch. The 420 mAh battery gives you a battery life of up to 25 days. Will not make your wrist sweaty since it has sweat absorption technology. Versatile strap of rubber and plastic makes it easier to carry. If you want to keep track of your workout and refrain from excessive workout then use optical heart rate detector. The price is quite high as compared to other brands. You might find problems with the screen of the Huawei 2 sports watch when in water. If you wish to keep your Smartphone more feasible than ever than getting this Smartwatch is a great way to ensure. The watch has an Android wear 2.0 operating system which is one of most user-friendly versions. There are several different apps in this version that help make the watch a pedometer, music player, or even into a portable television. The Smartwatch is lightweight and has many different colors available to ensure that the style is not compromised. The watch is resistant to water and dust so that the durability is longer and the watch remains unaffected when you sweat. It comes with a 30-day trial guarantee and 12 months of warranty. This Smartwatch is powered by Google and has an endless supply of apps to make your simple watch into a phone on your hand. Android wear 2.0 has several different apps available to be downloaded like a pedometer or music player. Heart rate, accelerometer, e-compass sensors are inbuilt in this watch. The watch is Bluetooth enabled. 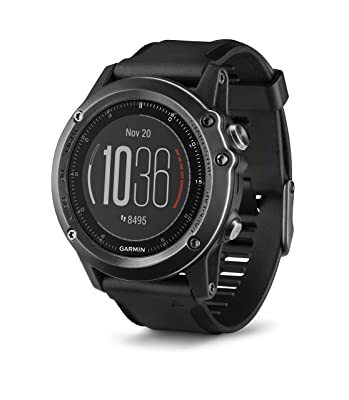 Garmin Fenix is a great way to keep technology in your hands at all times. The sensors in the watch use the wrist and the pulse to track the heart rate anytime you would want. The display of the watch is a CHROMA display that is a 1.2 inches high resolution and sunlight visible screen. This watch is a great option for athletes because it is sweat proof and waterproof up to 200 meters. The watch can be connected wirelessly to any Wi-Fi network that allows you to synchronize everything to your watch without any troubles. It has a silicone strap which is perfect for all skin types and it keeps the watch looking stylish. Furthermore, it comes with up to 2 weeks of battery life on a full charge. This smartwatch runs on various modes as well. You can choose the smartwatch mode in which the battery life is about 2 weeks; the GPS mode has a battery life of 16 hours, and 40 hours on UltraTrac battery saver mode. ­Long battery life in every mode ensures convenience. Heart rate sensors to manage the exercising. Can be used while swimming as it is waterproof. The screen is readable in sunlight with the CHROMA technology. There are no options for additional apps. There is no Bluetooth option in this Smartwatch. This Apple watch has a cool space gray aluminum casing and a classy gray sports band. As a staple in quality smartwatches, it is water resistant as well as being strong and dependable in order to keep up with your taxing routine. Your Apple smartwatch gives you access to your iPhone while it remains at a distance. You can check your mail, see your notifications, make memos and use different apps. On top of all this, it has built-in GPS and GLONASS. So that the next time you’re on a challenging hike or traveling on your bike your smart can keep a track of your destination and alert you when you’re off course. It has eighteen hours’ worth of battery life and a total capacity of a whopping 8GB. Not to mention Ion-X strengthened glass and a composite back. As well as a heart rate sensor, accelerator, and gyroscope. In the past, people used to see the quality, basic functionality, appearance, and durability of any device they purchase. But now, with the advancement of technology, there are numerous attributes that also require your consideration. This becomes more important when your device is smart. Here you will see a few things that you should look for before spending your money on a smartwatch. Before proceeding, keep in mind that a smart device has a lot of features to offer you. Therefore, many features depend on personal preferences. Here, we are only going to point out the most important or general attributes. Note that many people aren’t involved in workout activities, for those, this feature might not have the same importance as those that are conscious about their fitness. This is the most important feature of smartwatches, because unlike other smart devices, this one you are going to wear on your wrist. It is highly appropriate for you to track different vitals with this device. Therefore, look for different monitors before purchasing it. These sensors might be the one for monitoring your heart rate, calories burned, steps taken, floors climbed, and others. Though getting the high-quality sensors may be expensive, it is going to benefit you in the long run. Though not compulsory, this feature is going to make things a lot easier for you and is particularly important for smartwatches. You aren’t going to have a big display screen with these watches. Therefore, pressing buttons, touching screen, or rotating dialer will somehow feel difficult. So, in most operations, you will highly appreciate the help of voice commands. Moreover, as you are going to use your watch during your workout, you would need this feature. This is another important feature that asks for your attention in a smartwatch. Your smart device mainly aims at providing you with the ability to carry only the necessary items with you. It becomes more important when you go out to exercise, walk, hike or any other activity of a similar nature. We are aware of the fact that most people listen to music while working out. Therefore, it will be a great plus for your watch if it allows you to play music while monitoring other vitals. Most watches these days come with this feature. They have access to wifi or other cellular data and allows you to access the music by streaming it from your smartwatch. By having the compatibility with Bluetooth, you can also access music from your smartphone. Few watches also contain built-in storage options that let them store music files. But this feature has limitations too. Whatever option you choose, it will be very pleasing to have media playing on your wristband. People usually like things that keep gaining their attention. There are very few people who stay connected to only one item and do not get bored. This becomes more important when it is about your device choice. People need customization feature. They want to keep making changes to their devices. For a smartwatch, you can make a few changes. You can change watch faces very often or frequently depending on your choice. Moreover, you can also change watch straps. These are the customization features that though not going to put much difference, can make you happy. That’s why you should check for these options before investing your money in your smartwatch. No matter, if you are involved in tracking your fitness or not, look for the fitness tracker feature. Mostly watches available on the market have this feature and you should also consider it. You never know when you are going to need them. For those involved in tracking, this feature becomes important. They should look for versatility and quality of tracker the watch is offering. These trackers will keep track of your activities throughout your day. It will help you in staying aware of the effects your routine has on your overall health. It can assist you in making your lifestyle better. You can also get an option to synchronize your tracking data with your other smart devices. The purpose of this feature is to keep a record and many high profile watches offer this feature. Always check your smartwatch display type before purchasing it. How it works in dark, in sunlight, and how easily will you be able to see the time and other things while running. These are the example of few questions you should get an answer before making a purchase. You are going to wear your smartwatch throughout your day, that’s why it is important to look for its battery life. If your watch only tracks your steps taken for just a few hours and shuts off, it will not give you any fruitful data. For a smartwatch, it is appropriate to have a battery life that will work for at least 24 hours. Moreover, the charging time should also not be more than an hour or two. Durability is very important for all devices you purchase, the case for the watch is different. What if you are doing your routine workout, and drop your watch, or if you sweat and your smartwatch gets wet. If one device is going to be used during vigorous activities, it should have sturdy material in its construction. These are the basic things for a good smartwatch. These days, many watches come equipped with numerous other features that get rid of the need to take any other device with you. Ability to Make Calls – You can also see that few smartwatches are fully connected to your phone. You can make calls, answer the call, send text messages, and other similar functions. Storage – A few of them come with built-in storage and this helps you in storing different media files or other data on your watch. Ability to Pay – Few smartwatches also make you able to pay for different bills with a smartwatch. You can get them in watches with high profile brands. Smartwatches are a great invention. They can help you in getting more useful information while wearing it on your wrist. There are numerous brands in the market making different smartwatches. You can get them at different prices with a variety of features. In this write-up, we have discussed reviews of a few great smartwatches. A brief guideline is also provided that can help you in identifying important features for a smartwatch. There are many things that this device can do for you, which means that features also vary from one to the other. The one that is best for you depends entirely on your preferences and needs. Q: What do I need an iPhone for when my smartwatch can do it all? A: Your Apple smartwatch can, in fact, help you get it to it all but your iPhone is still doing most of the heavy lifting. At this point, your smartwatch has an abundance of features that help you monitor your fitness, position your location globally and access the internet. But all of it is possible because of the connection between your smartwatch and your iPhone. Yes, the people at iPhone are working to create a smartwatch that will be able to do it all on its own. But right now these two devices need to work together. The smartwatch to give you a convenient access to your apps. And the iPhone to give your smartwatch an easier access to the web and important operating software. Q: Do I need professional help to set-up my smartwatch? A: Actually, thanks to the sophisticated software (iOS) in both the Apple smartwatch and the iPhone, setting up is no bother. Once you link the two devices through Bluetooth the interface on the smartwatch is pretty self-explanatory. Q: Does the smartwatch only work with a specific iPhone model? A: You can link up your smartwatch with any Apple phone. But the fact of the matter that as technology has advanced and Apple has improved upon their product it would advise that you try the smartwatch with more recent models. 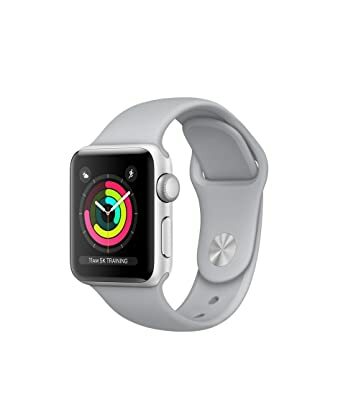 Because the smartwatches have been developed using the latest technology so it will be easier to assimilate them to an iPhone with more recent software. Q: Will I be able to use different apps on my smartwatch while away from my iPhone? A: As we discussed before there are a number of apps you can use on your smartwatch without a live connection to your iPhone. Likewise, you will be able to access different files which you have stored on your 8GB worth of memory. But in order for you to go online, you must be within the range of your iPhone. There are a number of other features for which you will need to maintain proximity to your iPhone. Q: Can I use my smartwatch with any other phone? A: The Apple smartwatch has been developed while keeping the iPhone framework in mind. The two devices are linked via their common software. And hence your smart will not work with any other phone e.g. Android platform and Windows. Q: Can I change the wristband? A: You absolutely can! You can change out the original for a larger or a customized design that is more suited to your needs. Q: How well does my smartwatch track my fitness? A: Well, the list of features on your smartwatch intended to track your fitness would surprise you! Your smartwatch can be used to set daily exercise goals and your smartwatch will inform you when they have been reached. Your smartphone keeps a track of how long you’ve been sitting in order to remind you to get up and take a circuit around the room. As it is important to maintain blood circulation throughout your legs. The smartwatch will keep a track of how far you have walked and the heart rate sensor will record your heartbeat. And they will feed this data into a diagnostic app on your iPhone in order to check up on your health. Your smartwatch can accomplish this while maintaining a connection with your iPhone. Q: Does Siri respond to a command on the smartwatch? Q: Can I use an earpiece with my smartwatch? A: Well, actually you don’t need one. You see, the basic purpose of an earpiece is to give you easier access to your phone. And so you can think of the smartwatch as of being the earpiece that gives you a more convenient access to your phone. Q: How do I recharge my smartwatch? A: You can recharge your smartwatch with the included inductive magnetic charger.